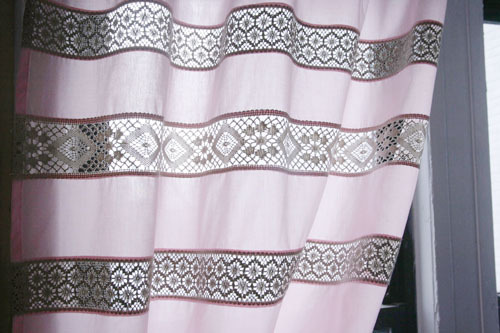 From plain to chic in a jiffy, add sophistication to a simple curtain in very few steps. All you need is some fabric, lace strips and a ruler. A few straight seams later and voilà! Step 1) Measure your window and determine how large you want your finished curtain to be. 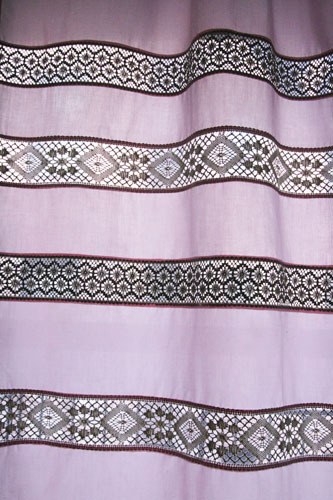 Most curtain panels are 1-1/2 to 2 times the width of the window; this allows for a bit of fullness. 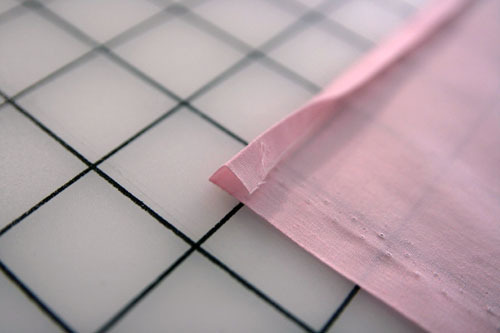 Add 2″ to the desired final width to determine how wide your fabric needs to be. Decide how long you want your curtain to be. 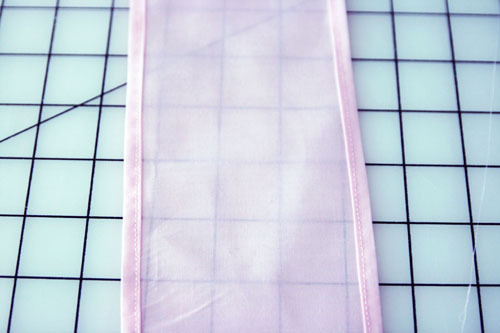 Add 4-1/2″ to the length for a rod casing and another 4-1/2″ for a hem allowance. 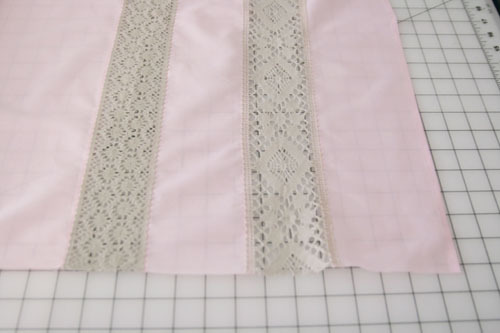 Step 2) Measure the depth of the lace and adjust the length of the curtain panel. 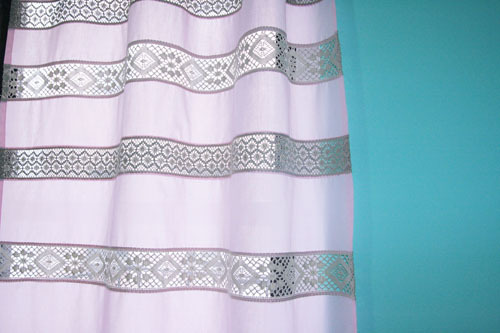 For each lace strip you need enough to span across your curtain’s width plus 2″. Step 3) Cut the fabric pieces. Step 4) Finish the fabric edges. 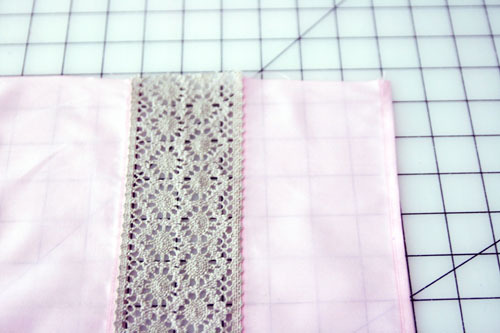 Along each fabric edge that will be joined to a lace strip, turn under 1/4″ and press in place. Repeat to hide the raw edge. Topstitch each folded fabric edge in place along the inside folded edge. 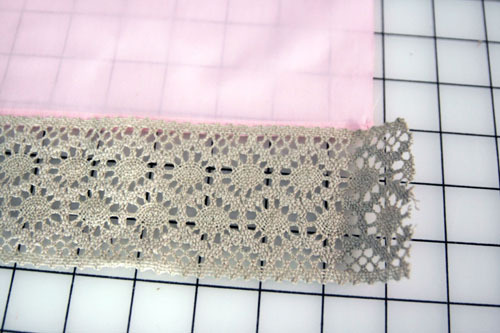 Repeat to finish the lace-adjoining edges of each fabric strip. 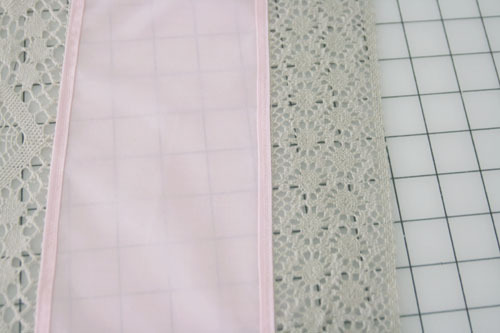 Step 5) Join the fabric and lace strips. 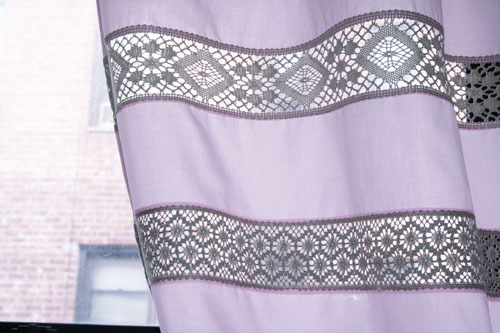 Place a lace strip over the right side of the curtain, overlapping the edges about 3/16″ (a scant 1/4″). Edgestitch the lace strip in place along the edges. 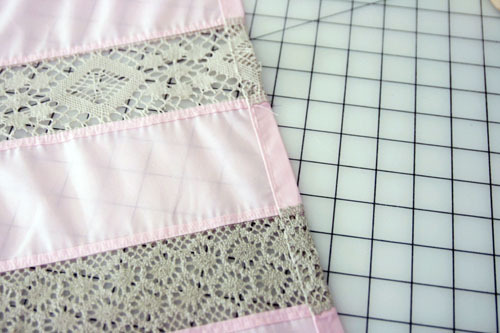 Repeat to continue adding fabric and lace strips. Step 6) Finish the curtain sides. 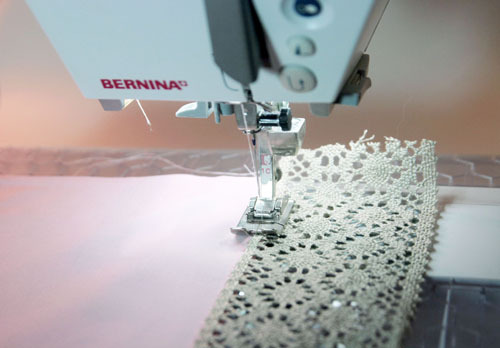 Turn under each long side of the curtain 1/2″ and press. Repeat to hide the raw edges, and then topstitch them in place. Step 7) Make the rod casing. 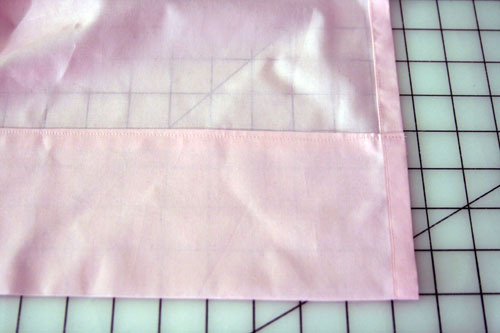 Turn under the curtain top edge 1/2″ and press in place. Turn it under again 2″ and press. Topstitch along the casing’s bottom edge to secure. 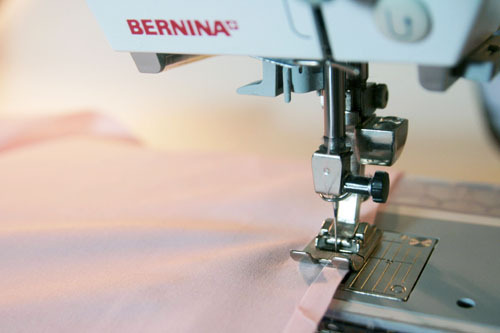 Do not sew the sides closed. Step 8) Sew the hem. 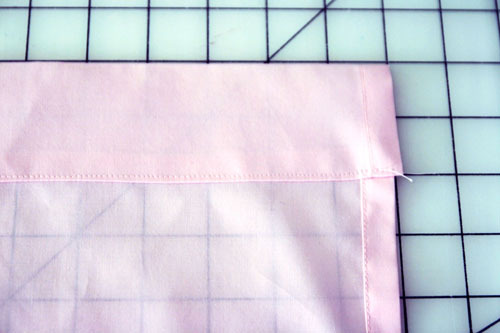 Turn under the hem 1/2″ and press in place. Turn it under again, 4″ this time, and press in place. Topstitch along the hem’s top edge and sides to secure.